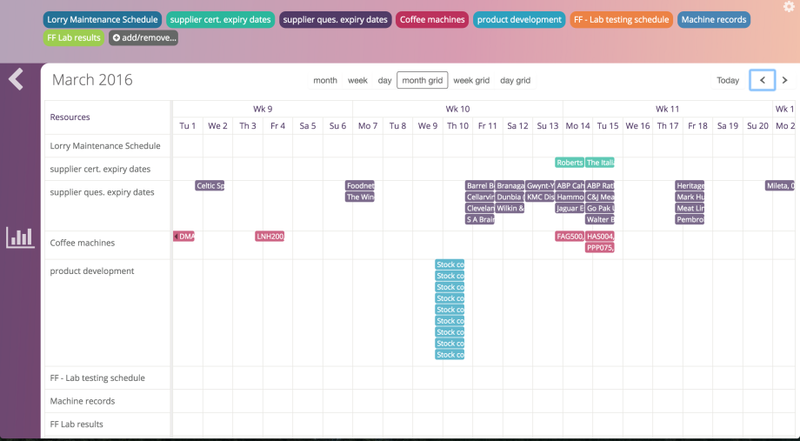 You can also choose to see this as either a traditional calendar, our as a timeline. Simply open the calendar and select one of the six types at the top – month, week or day or month grid, week grid or day grid. Every time you change types, that newly selected type will become the default the next time you open the calendar.